Lot Detail - 1955 Bowman Bb- #296 Bill Virdon, Cards- Hi#. 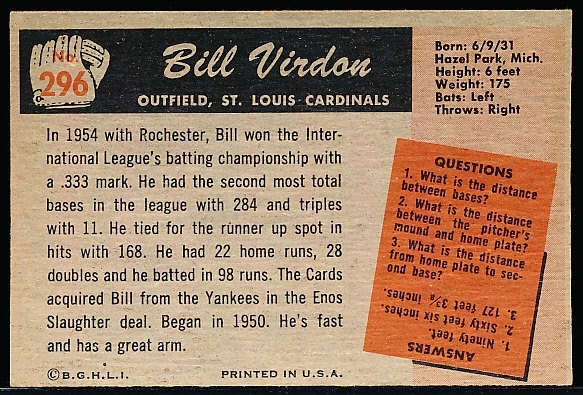 1955 Bowman Bb- #296 Bill Virdon, Cards- Hi#. 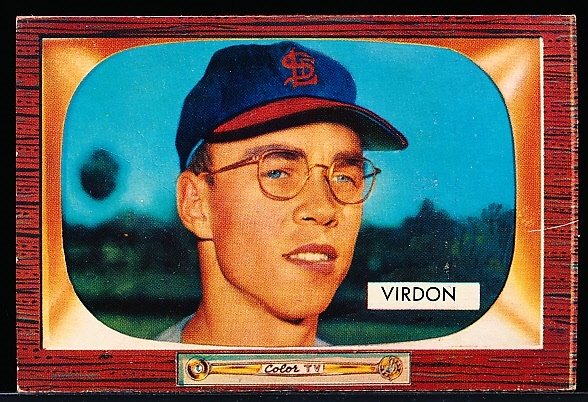 1955 Bowman Bb- #296 Bill Virdon, Cards- Vg-Ex cr 65/35- Hi#.